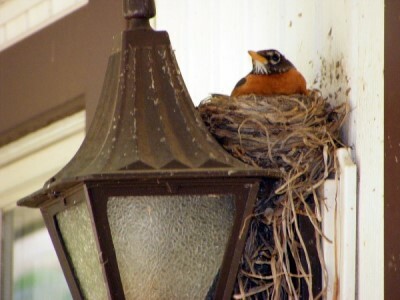 Every year we have some bird or another build or start to build a nest on the light outside our carport door. 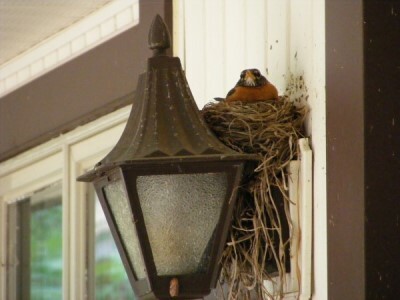 Many times the nest is started then abandoned, so my husband just pulls it down each year. This year he noticed the nest while outside doing something else so finished what he was doing and then came inside for a while. When remembered the nest he decided to go pull it down.